Our product range includes a wide range of air conditioner rear netting. We offer our clients with a quality proven range of Rear Netting for Air Conditioner Air Conditioner Rear Netting. 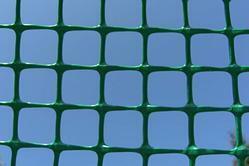 Manufactured with quality material, our range of rear netting finds application in air conditioners. These nettings are used at the back of the air conditioner unit for protection purpose. Rear netting is used at the back of the Air conditioner unit for protection purpose. Looking for Air Conditioner Rear Netting ?